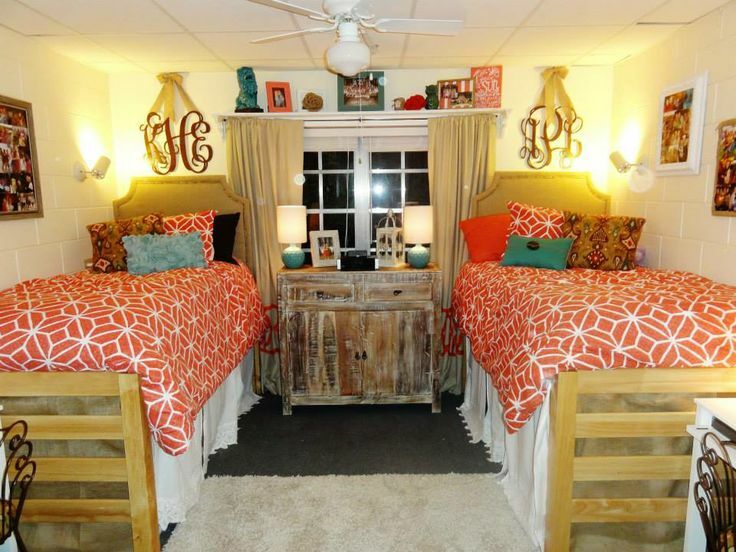 While we may love living the #dormlife, we seriously hate dorm beds. After years and years of other people sleeping on them, you’re lucky if you find one mattress that’s even a bit comfortable. But we’re making a stand: NO MORE STIFF DORM BEDS EVER! Instead, we’re investing in our goodnight sleep by transforming our bed into the palace it should be. Here’s how. Today, beds are more than just the mattress and a slipcover. If you’re going to get your required 7-8 hours of productive sleep, you’re going to need to create a bed that is both healthy and tailored to your body and sleep needs. Support is a big part of this. Egg crate pads are an affordable option if you don’t have any previous backaches or pains to worry about. For more luxury or necessary support for those who need it, deluxe and ultimate gel memory foam give you exactly what you need. We’re guilty of buying the cheapest pillow out there, but we’ve learned from that mistake. Pillows are what supports and cradles your neck. Too stiff and you’ll be in a load of pain. Too thin, and you won’t make it through the night. Pillows come in all shapes and sizes, so it is important to understand how you sleep. Those who snooze on their sides need flexible material such as memory foam found in the Infinity Memorelle pillow. Back-sleepers and those with allergies will love the eco-friendly ClearFresh pillow. And those who sleep on their stomachs can cuddle up to the Plush Pillow. While it may be warm outside now, it’s important to find linens that are weatherproof and can make it through cold, drafty dorms and sweltering early summer days. Our favorite find is the extra-long thermal cotton blanket. 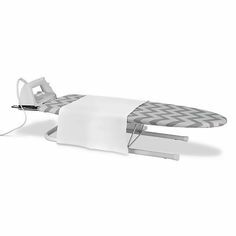 It’s perfect for just about any location and the perfect bottom layer of any bed. Fleece throws, especially vibrant color ones, are great for guests and lazy days spent in bed. They are lightweight, easy to clean, and stylish — a perfect combo for dorm dwellers. In addition to building the best bed ever, you’re going to want to keep it safe and sound. Accidents happen. Drinks are spilled, crumbs are left behind, and wear and tear is a thing. When you don’t have time or money to replace, give yourself insurance by purchasing extra help keeping bedding in the best shape ever. Mattress protectors are a basic buy that helps you stay clear of that nasty old mattress and your sheets. 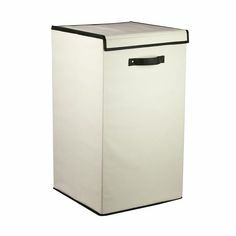 Bug guards are for those who may worry about creepy crawlers and bed bugs taking over. Quilted mattress pads are great for keeping your support base away from elements like body sweat or debris. And, finally, pillow protectors are perfect for helping your pillows survive the year. Transitioning from winter to spring means saying goodbye to heavy comforters or heated blankets. If you can’t make a trip back home with your bedding, look for storage units that fit neatly under your bed. Out of sight, out of mind! You’ll also need a place to keep your bedding until next year. 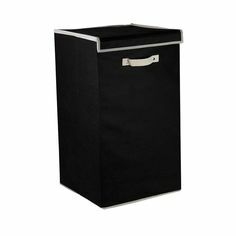 Keep out the dust by placing your linens and bedding in hardcover storage cubes. For a more stylish option, you’ll want to check out the vintage trunks that can be kept in just about any storage unit or basement until it’s time to take them out for the next semester. When it comes to bedding style, one thing matters the most: comfort. But you don’t have to break the bank to get the fluffy pillows, relaxed colors, and luxurious textures of high-class bedding! Here are 15 ideas to get you that comfortable but cozy look of your dreams. White linens can make your bed look extra inviting. This bed sets off the plain color with a textured duvet cover, adding spark to its look. Winter bedding is all bout warmth — making quilted or knitted throw blankets a must. They’ll keep you toasty while making your bed look fantastic. 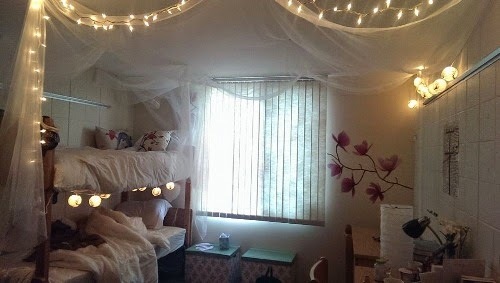 Create an inviting, homey space to relax in with string lighting! These bunk beds add some flair with some cloth draping. When paired with the right bed sheets or comforters, woven tapestries like this one can complete a space and give it that boho vibe we all love. Make sure your bed matches the feel it’s giving off by adding OCM’s top-rated Deluxe Gel Memory Foam Topper. To steal this look, all you need are hooks that can go into the wall and a few yards of thin white fabric. Line up the hooks with the corners of the bed, then string the canopy fabric through. That’s instant luxury! Add a bit of masculinity by switching out white for gray and black, like with OCM’s Gray Hampton Plaid set. Start by measuring the front of your bed, then cut a piece of thin plywood in the shape you desire. 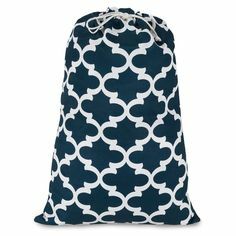 Add padding and fabric with a staple gun, and attach with zip ties or hardware (if possible). Place your bed so it gets ample exposure to open windows whenever possible. The closer you are to natural lighting, the better you’ll feel. Invest in storage solutions like bedside organizers to add space and keep your cozy feel going. Keep your space your own and maximize privacy by lofting or bunking your bed. Don’t be afraid to get personal with your bedding by bringing in something meaningful — your favorite pillow, your grandma’s quilt, or a stuffed animal. Bedskirts make your bed look more inviting and can hide ugly, cold floors. Coordinate with your cozy linens for a super-impressive look. Not all bed linens are the same, especially when it comes to breathability. Instead of just jumping in, read up on warmth quality or lightness, and buy the right bedding for your sleep style. A few years ago, the word “preppy” was totally out when it came to style and design. But now the clean-cut, ultra-smart look is coming back with an updated twist. Whether you’re a boy or girl — and whether you like plaid or polka-dots — designing a dorm that fits the college prep style is easier than ever. These four ideas can get you started on the essentials for designing a perfectly preppy dorm room. While it may be easy for guys to just slap on a no-fuss comforter, the single-shade does nothing for the look of your room. Instead, upgrade to Gibson Plaid. You’ll get the easy going style you love and want but with pops of color (light blue, gray, or navy) that makes it look like you put the time and effort into designing something more complex. Girls, take a cue from the guys. Bright pink or yellow comforters are great, but they only do so much. 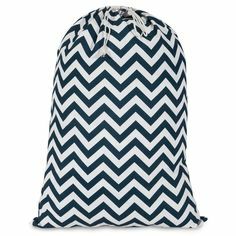 Liven it up with a fun, light feeling pattern such as a chevron or diamond. Prep is all about geometrics so feel free to accent with polkadots or stripes in coordinating sheets and pillowcases. One of the biggest mistakes you can make when going preppy is going too simple. It’s deceptive, but preppy isn’t minimalist. In fact, it’s all about making design choices that all seem to fit with some coordinating element. That may be color, theme, pattern, etc. When picking your wall designs, don’t just stick with your standard photo frames or movie poster. Go with items that emphasize your design. For example, if you’re a guy who is looking for a country prep look, hang your guitar (or a painted, stickered-up version) using no-screw hooks along with navy or dark wood framed music posters and record covers. Ladies can go with a sorority prep by hanging glittered sorority letters and pink and white photo frames in an infinity sign design. Another huge design point to remember is that prep is supposed to be comfortable. Unlike more stylized versions of preppy, it isn’t supposed to be staunch or high collared. It’s supposed to be relaxed and, when it comes to dorms, that starts with your rugs. Rugs are must-haves in older, drafty dorms. By going with shag solid colors that match or emphasize the bedding, you can easily create a functional part of your dorm. A second idea is to create a reading area that is the envy of all others. 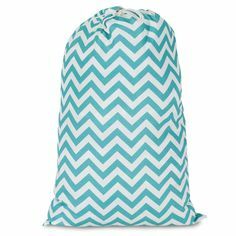 Preppy dorm seating includes navy, hunter green, or yellow bean bag chairs, throw blankets with flannel patterns, or folding lounge chairs. 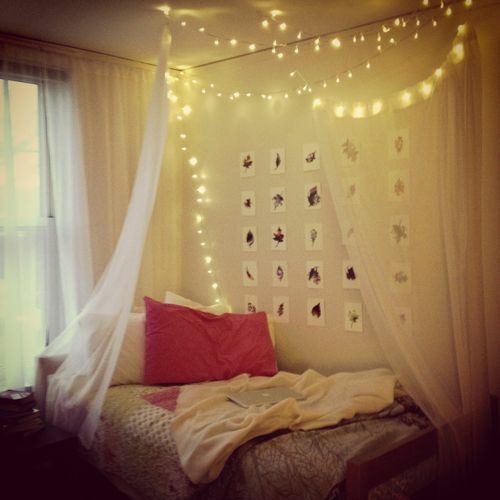 Add fairy hanging lights or create a canopy to make a DIY reading nook. If you’ve read the other points, you may have noticed a pattern in the decor choices. Almost all of them is based on a classic vintage look from the 1940s through the ‘70s. This means you cannot go wrong with a shop at your favorite antique shop or thrift store! Items you should be looking out for include gold lamps (ones you can repaint or add a new lampshade to), interesting wall hangings (like funky clothes hooks), and organizational items such as metal pencil cases or leather bookbags. Don’t worry about condition. A fresh paint of vibrant or jewel toned paint can freshen it up and match your bedding or other items. 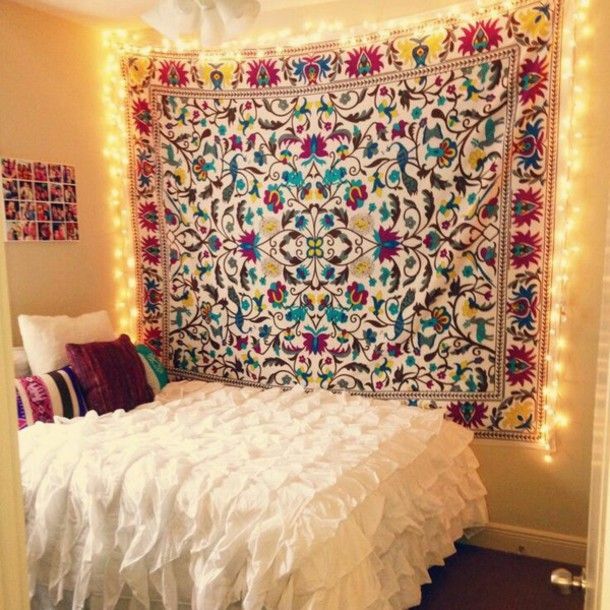 Pretty much everybody would love to have the best-decorated dorm room in the residence hall. But when it comes to defining your college style, you shouldn’t let yourself be limited by a vibe or color scheme. That’s why we are totally digging OCM’s newest bedding pattern, Leilani. A mixture of masculine and feminine, it’s perfect for those stylish college students who want options. In fact, we love Leilani so much, we came up with 6 reasons why you will too! For the last few years, it’s been all about neon colors. We’re talking loud and bold. But for those who love more understated fashion, overwhelming, overly abundant colors are just not hitting the mark. Today, black and white are making a huge comeback, with the Leilani pattern leading the way. The intricate design of dark lines, triangles, and diamonds in black sets this apart, making black and white the new stand out colors for this year’s dorm room designs. While we totally love rocking our favorite boho looks all summer long at the beach and our favorite music festivals, that style grows old after fall sets in. Leilani is perfect for a change of pace. Its effortless chic with floaty designs incorporate some of what we love about boho, but the black and white versus tans and browns lets it go beyond the summer season and into the winter and fall. It’s a comforter and sheet set you’ll love year round. We’ve already talked about loving the black and white patterns, but when you purchase Leilani in one of OCM’s student starter paks, you’ll have options for coordinating color packages right away. Currently, you can match Leilani with sheets and towel sets in black, deep pink, grape purple, kiwi, and aqua. But why stop there? Leilani would stand out with just about any color such as a daring ruby red or a lighter and understated sky blue. Matching Leilani with colors opens up your dorm room for so many theme options. But the one we love the most is the beach. Who doesn’t want to bring the ocean into their room? With Leilani and aqua sets, you can add white desk accents, tie-dye blue tapestries, tan shag rugs, and metallic colored wall art to give your dorm room the look of a beach towel laid out on the sand. So maybe you’re not that fashionable or have a hard time picking out which patterns go with what. Don’t worry because it’s really not as easy as style guides make it sound. But with Leilani, you don’t have to worry about texture and color schemes. It’s already there inside the bag giving you the appearance that you got this whole effortless chicness down to an art. White lamps, bright curtains, funky wall designs — it all looks great with Leilani! We especially love white, thick framed photos, vintage art deco lighting, tan or burlap message pin boards, and daring throw pillows or blankets. The sky is the limit with what you can match up with your Leilani room. And that’s the best part! The point of Leilani is to experiment and have fun while creating a space that’s totally yours. For the last couple of years, style has completely been dominated by mandalas, boho, and wavy loops and circles prints. 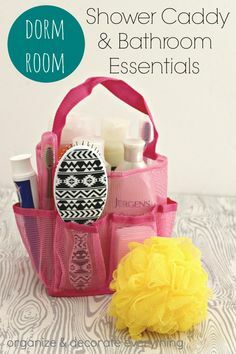 While super cute and fun, for those of us who just want a little organization in our lives, seeing so many ‘nonconformity’ patterns can throw us off. Fans of geometric shapes and patterns, however, can rejoice because the age of the defined shape is back — especially in dorm room style. 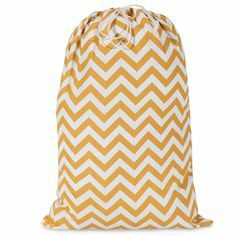 We picked out our top 4 dorm room finds for those who love geometrics to help you get started. 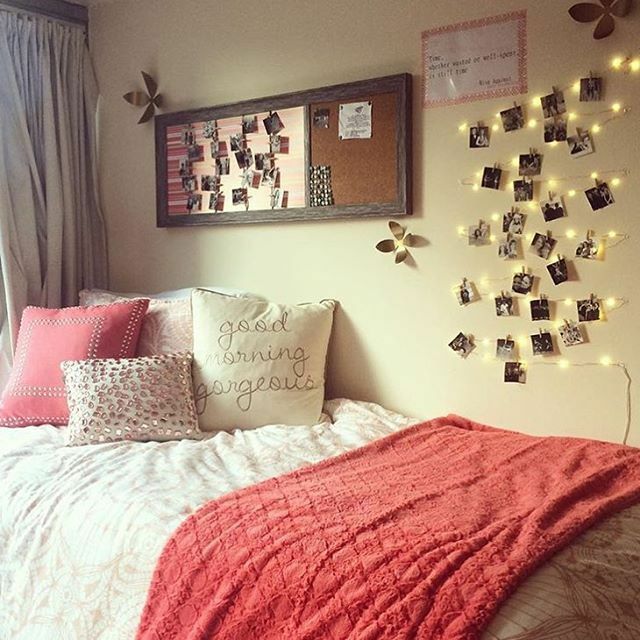 Let’s talk about the most important place in your dorm room: your bed. If you want to create visual interest in the bedroom, it starts and ends here. This is where you can get funky and create a theme, a place where you can play around with your color and line palette. That’s why we dig this year’s Maya bedding line. It comes in either grape, black or gray versions to give you options, and is paired with all you need to make your bedding complete. What we especially love is the design itself. The comforter features geometric patterns in alternating lines. And like the more funkier looks style guides are still crushing over, it’s not done in a rigid way. In fact, it’s almost boho without being too obscure. This is certainly a first impression-making bedding set that you won’t want to say no to. When we think of geometrics, we think of art deco. Art deco was a design style popular in the early 1910’s and ‘20s. It came back slightly in the ‘80s, refashioned in neon colors and leopard print textures. In both cases, the look centers around clean, bold lines. Where art deco really works is in vintage style lighting. Think Tiffany lighting with gold, tall base and a metal or glass cover. These mini lights make perfect additions to your desk or study area. We also like re-imagined versions in more bright or farm house colors such as aqua, teal, and coral where the lines are still clean, but the color is more vivid. If color isn’t your thing, go with a clear base and white or black shade for an ultra-cool look you won’t find in most dorms. 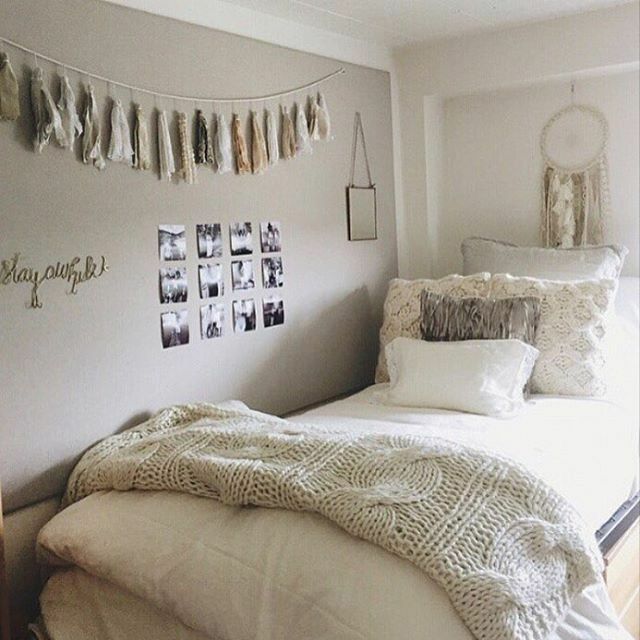 Some dorm rooms are pretty relaxed on what you hang from the walls and ceiling as long as you don’t make holes or mess around with the sprinkler system. This gives you a ton of opportunity to make your mark from the top down! We especially love to use this space to hang our favorite art pieces for display. One popular and really cheap option is to purchase round, paper Chinese lanterns in a variety of sizes. Another is to find lightweight metal diamonds, triangles, and squares to paint a jewel tone. We also love DIY chandeliers of circle, square, and triangle cutouts hanging from the center of a room or even over a bed. The larger you make it, the more impressive it is! Mirrors are great picks for geometric fans. More than likely, you can find a ton of shapes and sizes that will make your wall shine. We love, for example, using a long, rectangular mirror on its side and throwing in smaller round mirrors near the side. You can also take square mirrors and stack them together to create one long, wardrobe mirror for dressing. If you want to add a bit of extra style, find mirrors in vintage frames. While they may take away from the geometric side, it adds a bit of interest to the piece. Add coordinating paint and you can mix and match until your fashionable self’s content! Do you want cool, chic, totally in-style fashion for your dorm room? Look no further than the trend that is taking over just about every part of interior décor: ombre! Using a color scheme that goes from one light shade to a dark shade (and sometimes vice versa), this pattern is effortless to fit in with almost every theme or color imaginable. Ready to take on ombre? 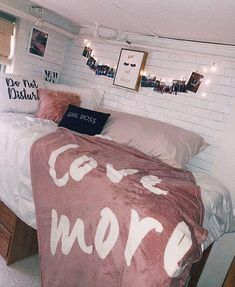 We picked out four fashionable dorm room ombre ideas you can duplicate on a budget. Do you want ombre to be your staple pick in your dorm room? There’s nothing better than picking one of the best focal features to show it off: your bed. Your bed is where you’ll hang out, where you’ll crash after a long night, where you’ll study — and so much more. Given that, you may as well make it ombre-central. This year, we’re loving OCM’s Aqua Ombre bedding and bath set. You’ll get a focal color (aqua blue, perfect for beach and earth tone lovers) in sheets and towels. It then comes with a boho patterned sheet and pillowcase in the secondary colors. Top it off with the comforter in the ombre going from gray to aqua and you have an already designed bed to start your ombre obsession off on the right foot. If you can’t decide on just one color or hate the whole single-tone, uniform look, spruce it up with ombre! Purchase a ton of cheap picture frames from discount stores and a couple of cans of spray paint in ombre tones (remember dark to light). Hang according to color for a fun and functional look. You can use leftover spray paint to make wall art canvases with a favorite design. Buy cheap canvas from a craft store, tape down your image or design, and paint in your darkest color first. Let it dry, and then add on additional colors either by row or letting the still-wet paint to roll down for a messy tie dye look. Stark white lighting is out, and blasts of color are in! Luckily, you can create an ombre look with little effort or money. Pick up a lamp from a thrift store or garage sale and remove the shade. Find the right paint for the material and do a roll technique using a flat pan full of your paint choices. Roll the shade section by section till you get an ombre look you love. You can also purchase lighting you that can fill up the base with your favorite things. We love this look for adding memories or little trinkets you can’t easily display. One idea is to pick ombre colored sand and have each friend in your circle add their color to the other friend’s lamp base until it’s full. It’s a great symbol of unity and friendship without sacrificing style. We love old-school tie-dye because it’s so easy to duplicate and personalize without spending a fortune. It’s also a skill you probably picked up years ago at sleep away camp. You can use the same methods to make ombre window drapes perfect for your dorm room. Step one is buying cotton white, tan, or gray drapes you don’t mind messing up, along with fabric dye, a plastic painter’s tarp, and a buckets for each color you’re using. Measure about half way up the drapes from the bottom and dip the curtains in the lightest color first. Let dry completely on the tarp and then dip in the next darkest color. Repeat until you get to the end with the darkest. You may love this ombre look so much you’ll want to duplicate it with your clothes or even shower curtains! 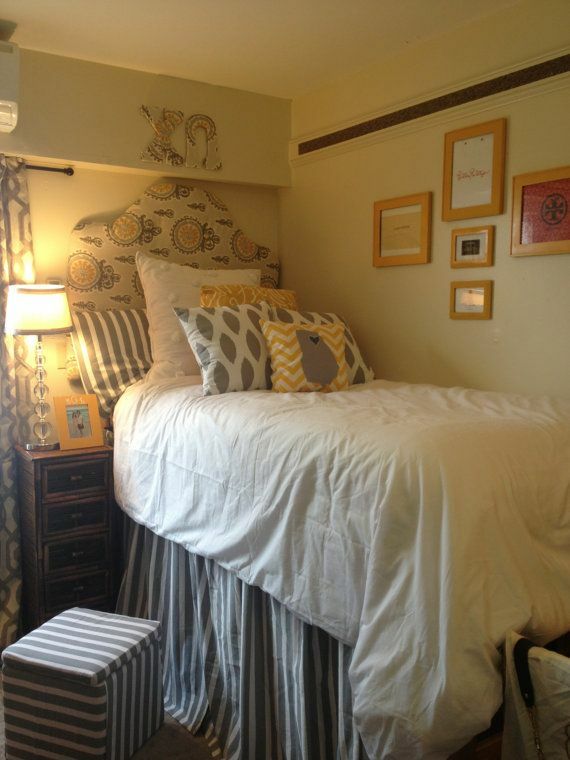 Your bed in your dorm room serves many functions in addition to being a vehicle for sleeping. 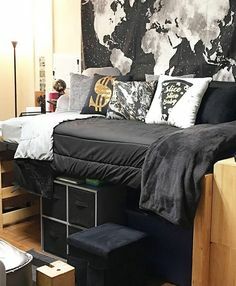 After all, due to limited space and overall convenience, your bed may turn into the main place you sit, study, watch movies and overall hangout. To make sure that the mattress is up to the task, equip it with more than merely twin xl sheets and pillows. One of the most important items on your list will be a mattress pad for your bed. These come in a variety of thicknesses and textures, so choose the one that best suits your personal preference. You may want to look for a memory foam pad, or perhaps you are interested in a fitted sheet with down or alternative padding. Just remember to look for the appropriate size – the majority of dorm beds will be Twin XL. The wonderful thing about these pillows is that, due to the distinct shape, they give your upper body the illusion of being in a big comfortable armchair. These pillows come in all different colors and styles, so you will be sure to find one that matches overall palette of your bed. Armchair pillows are perfect for those late nights with lots of reading or studying to do. If your bed will be serving as a makeshift desk from time to time, then you will need the proper lighting. Clip lamps will attach right to your bedframe and should have an adjustable neck so that you can bend and turn it until it is in the perfect position. These lamps are relatively inexpensive and come in many different colors. Lap desks are yet another helpful accessory when using your bed as a study area. These portable, small-sized desk surfaces have a cushioned bottom so they can rest comfortably on your lap while you do work. Some lap desks even have a built in fan to plug into your laptop for preventing overheating. The bedpost shelf serves as a terrific makeshift nightstand, as most dorm rooms are not furnished with nightstands. These small shelves are ideal for lofted or bunk beds since nightstands are not accessible at these heights. 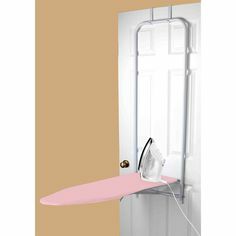 Simply attach the shelf to your bedpost and use it for electronic devices, your alarm clock, reading glasses, or anything else you can think of. If you have a twin bed, then you will not want to overcrowd the space with too many pillows. But decorating with a couple of throw pillows is a great way to add some extra cushioning and comfort, while at the same time providing an opportunity to get more creative with the décor of your room. Throw blankets are convenient for staying warm and cozy while studying without having to tuck yourself into your bed entirely. They also add some decorative flair to your bedding. In order to accommodate the many different kinds of students that reside within its walls, dorm rooms are usually void of personality. Decked out in whites and creams, they are essentially blank slates for you to design and work with. Linens are the best way to swiftly add a bit of personality in such a space. However, some looks go out of fashion quickly. Check out these five essential linen looks to get some longevity—without sacrificing style. 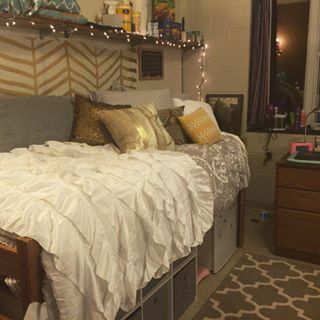 Dorm rooms can sometimes be chilly, especially when they are located in older residence halls. There isn’t much you can do to warm up other than to bury yourself in the dorm bedding. But this is where comfortable, warm, and decorative throw blankets come in. 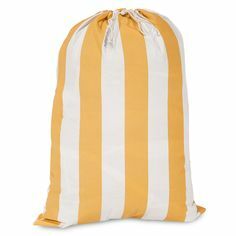 College students love to drape these across desk chairs or to huddle in while sitting on their futons. In addition to warmth, they provide bright bursts of colors that can be applied almost anywhere. The most popular type of throw blankets are made up of warmer or more luxurious material. For example, fleece is a widely beloved, durable choice for the winter, while super soft, faux fur looks particularly decorative. Either way, make your linen selection based on the overall look, theme, or style of your room to coordinate it. Who said towel sets have to come in just one color? College should be the time where you throw out tradition and create a multicolored palette all of your own. Go bold with vibrant pinks and greens for a summer and spring feel or sophisticated with black body towels and white or cream hand towels. When selecting towels, also take into consideration the material and design of the product. While cheap towels are easy to find and great on the wallet, they wear out easily and take forever to dry. Instead, find alternative that are made from ultra-plush cotton guaranteed to last past one semester of use. And don’t forget to bring along extras in your storage! Running out of clean towels can be a huge hassle when you need them the most. Tucked under your quilts and comforters is your dorm sheet set. These linens can gracefully accent your comforter and pillows to add a touch of intrigue to your bed. For example, if you have a black-and-white top layer of blankets, bright purple sheets will add a fun touch of levity. The quality of your sheets will ensure you stay comfortable all night (and year) long. The higher the thread count, the more luxurious your bedding will feel. 300-500 is highly recommended. An alternative is to buying jersey material sheet sets if you prefer a more soft and downy feel. Not all bedding sets have to be frilly or overly designed. One of the classic looks by college students is a traditional flannel look. This is a particularly great idea for guys who want to stay away from monochromatic, as the flannel evokes a more rustic feel without much need to design around it. Popular color ideas include green with brown, red and blue, or navy with white. When designing around flannel, keep your accents to a minimal. Stay within earth tones or a coordinating color. For example, when using hunter green and brown flannel, select throw blankets in neutral tones such as white or a cream. Of course, a college dorm room would not be complete without paying homage to your university! 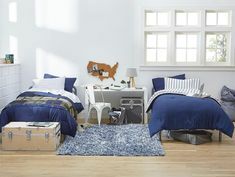 Finding linens in school colors, featuring the college’s name, or displaying the school’s logo can be a great way to incorporate school spirit in a tiny dorm room space. It is your choice on whether you would like to go obvious (perhaps a throw pillow with the mascot emblazoned on the front) or are more into the subtle (striped toss blanket with your school’s primary colors). Some linen trends fade and others stick around for long periods. However, what all college students want out of their essential linens are comfort, durability, and a bit of style. Selecting the look that matches your design choices and your lifestyle can bring a whole bunch of fun to your dorm room. The holidays are upon us, and that can only mean one big thing. Okay, well two. The first is of course celebrating with family and friends over delicious food. The second? SAVINGS. Black Friday is the day where shopaholics everywhere unite to score deals on their favorite items and check off those holiday shopping lists. Then there’s Cyber Monday, which gives our stay-at-home shoppers the opportunity to leverage amazing sales without ever leaving their house. If you’re in the market to stock up and save this holiday season, you’ll thoroughly enjoy our gift to you: 20% off on popular OCM items and bedding essentials with code HOLIDAYSAVE20. Don’t know where to start? Here’s all the amazing things you can snag at a discount on OCM.com until December 2nd. 1) Bedding Value Paks: Looking to refresh your linens and give your room a makeover? Now is the perfect chance to stock up on any of our Bedding Value Paks. They make great gifts, too. There’s nothing that says ‘Happy Holidays’ like a brand new bed-in-a-bag wrapped and snuggled nicely under the tree. 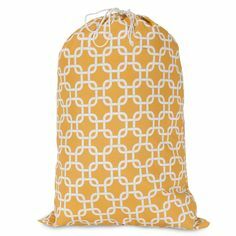 A bag of bedding goes a long way, and they’re guaranteed to last by OCM. Recently reduced, Value Paks on OCM have recently seen a drop in prices from the summer season, giving you EXTRA savings when used in addition to the promo code. Go ahead, complete that room. Don’t forget to also look at all of the appliances and kitchenware. Now’s the time to snag that Keurig you’ve always wanted! 3) Decor – Oh the possibilities. Decor pieces are really what makes a room unique and put together. The small and thoughtful touches of certain pictures, carpets, decals and more help make a room YOUR room. Stock up on all of your favorite wall decals and sparkly shag area rugs. A bright shag rug really ties the room together and adds a pop of color to any space. If you’re looking to make your room unique and special, browse through the selection of decorative pillows that come in a variety of textures and colors. This year’s favorite picks? The sparkly owl pillows! 4) Care Packages – Sometimes you can’t always be there in person to send your best wishes. In that case, OCM’s Care Packages are a perfect mix of fun and delicious, all in the same box. You can pick from a variety of themes, including Final Exams, Birthday, and more! Don’t forget to pick a festive card right before checkout. You can even upload your own photo! While you’re at it, snag a Care Package for yourself, too. There’s too much deliciousness to pass up at such a great price! 5) Diploma Frames – There’s nothing more special than a gift from a loved one that helps you showcase all of your hard work. Don’t worry about searching everywhere for the perfect gift for the recent grad in your life. OCM’s large selection of school specific and generic college diploma frames are beautiful, timeless, and hand crafted. Available in a variety of sizes, prints, and colors, these frames are the perfect keepsake. For each school you will find watercolor, photo and generic frames to surprise your loved one with. Good luck picking! Don’t forget to use the HOLIDAY20* promo code for a discount before December 2nd! *Exclusions apply. Promo Code valid only on products sold and fulfilled by Our Campus Market. Excludes Northwest Group, Greek Gear, Art.com, Yogibo, Bake Me A Wish, Gourmet Gift Baskets, and FTD. Cannot be applied to past orders. Other exclusions may apply. Expires at 12 am Tuesday December 2, 2014. Today, I would like to talk about your dorm room bed. The first thing that you must realize about your bed at school is that it will never be the same as your bed at home, simply because they are different beds. So while you are shopping, I would like for you to consider a few things. I like to call them “The Three Truths” about your bed. First, dorm room beds can be small and uncomfortable. 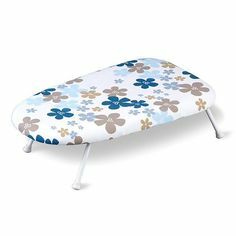 Every bed that I have had at school has been comprised of an extremely hard twin XL mattress and a small wooden frame to go around it. Secondly, your bed comes as it is. The school will not supply you with anything to make your bed more comfortable. Some schools, however, do have a “sheets program” where you can buy sheets from your school’s housing administrators. And thirdly, most dorm room beds are stackable and adjustable. 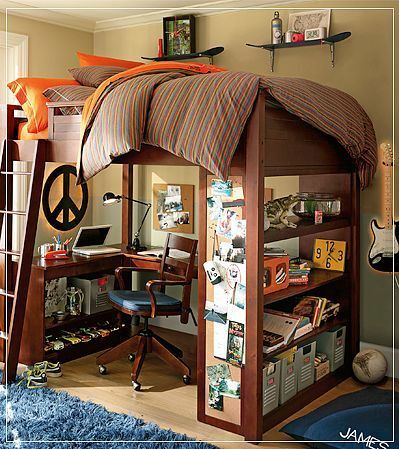 This allows students to have plenty of storage room underneath their beds and to potentially have bunk beds as well. Now, shopping for your bed can be quite the process. In the sections below, I have taken “The Three Truths” and created lists of items that are necessary to improve the quality of your school bed. Egg Crate. 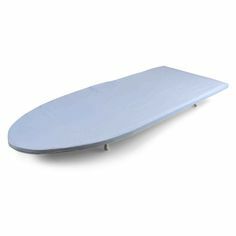 This wonderful foam invention is designed to shape perfectly to your body to ensure that you get a good night’s sleep. Put this item underneath your mattress sheet and on top of your mattress, and you will never wake up with back or neck pains! Feather/Fiber Mattress. This bed accessory, similar to the egg crate, fits to your body to ensure comfort while sleeping. I like to combine this accessory with the egg crate (by placing it on top of the egg crate) for extra comfort and support. After placing this item on your bed, you do not even feel the original mattress anymore! Foam Pillows (or the equivalent). These pillows were a lifesaver for me at college. They kept me from waking up with neck pains, the worst thing that could ever happen to you on a test day, and they helped me to sleep through the night. Bedding. I discussed bedding back in my “Preliminary List” blog, so go and check it out if you have not already done so. To recap, get the bedding that jumps out at you the most. You want it to scream “you” so that it is sure to match your personality and the overall vibe in your dorm room. Your bedding will surely make any plain old bed look fantastic! Decorative Pillows. Dress up your bed by buying some extra pillows to match your bed! Throw Blanket. Not only will this accessory keep you warm in the colder months, but it will also provide another pop of color to your bed! 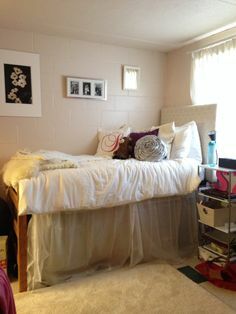 Hopefully you will now be able to transform your old dorm room bed into a wonderful and comfortable paradise! What do you think you will put on your bed?